Lumbar disc degeneration and low back pain is one of the most commonly encountered disorders in spine surgery practices. The cause of back pain is commonly due to compression or damage of a neurological structure, such as the spinal cord and/or a nerve root due to disc degeneration. Pain relief is achieved by removing the source of neurological compression, known as decompression. If conservative measures fail, surgical treatment of symptomatic disc degeneration is guided by the severity of the disc pathology and the stability of the motion segment. Arthroplasty treatment is aimed at relieving pain, maintaining or restoring stability, and correcting height loss while preserving motion. 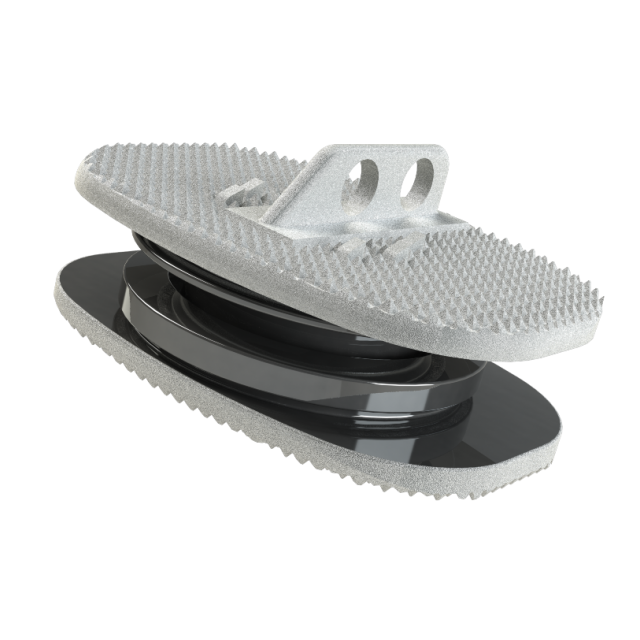 Kineflex technology has proven to be clinically successful, enabling the KPD to treat single-level symptomatic degenerative disc disease (DDD) between the L1-S1 levels. 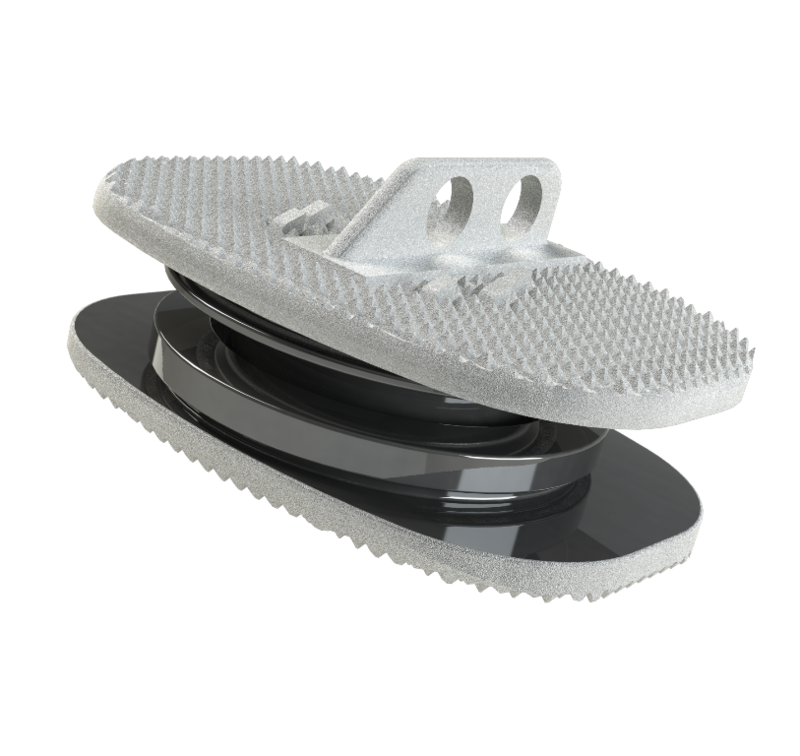 The Kineflex Prosthetic Disc (KPD) is constructed of two implant-grade cobalt-chromium molybdenum (CCM) endplates with titanium plasma-sprayed surfaces for osseointegration, and a CCM core. The core is in the shape of a bi-convex disc. Only one size core is utilized with all the system combinations. The endplates are provided in various heights, defined by their thickness relative to the disc centreline, with combinations ranging from 10mm to 13.75mm. The endplates are also provided with lordotic angles to result in wedge combinations of 5°, 10° and 15°. 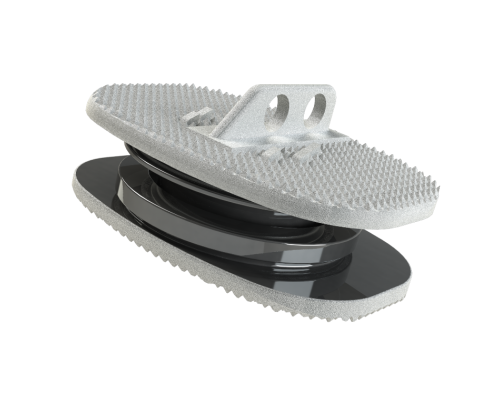 The Kineflex geometry replicates the natural motion of the intervertebral disc by allowing for five degrees of freedom. The CCM-on-CCM wear-couple produces low volumetric wear.